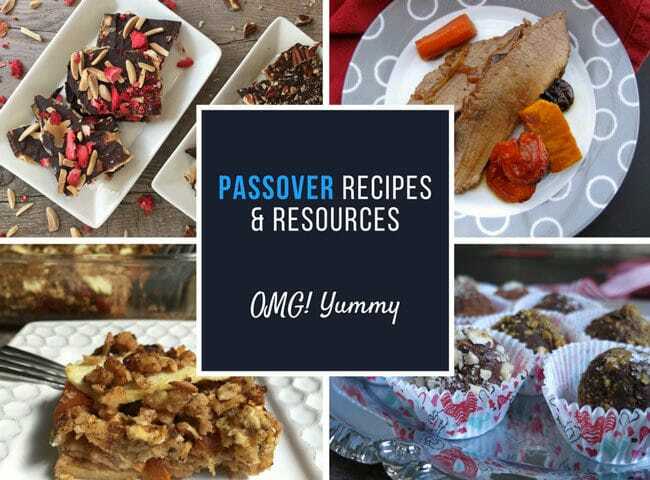 Spring is one of the busiest times on my blog because people around the world are looking for matzo recipes for Passover. Here are some of my favorites in one handy page plus everything you wanted to know about matzo but were afraid to ask! Matzo – also spelled matzah or matzoh – is essentially Jewish flatbread. 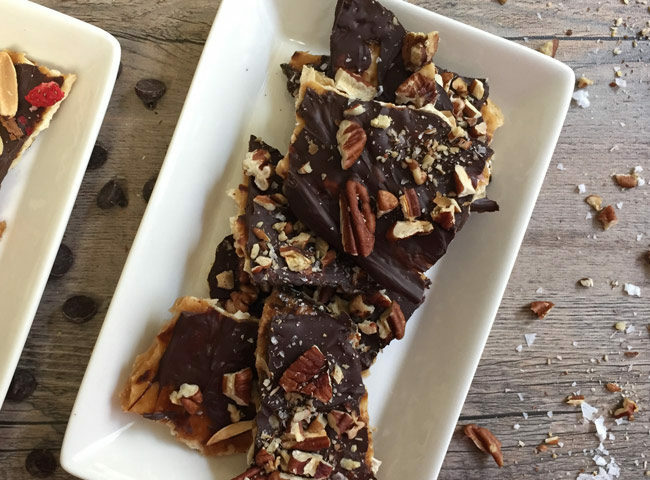 Crispy and cracker-like, matzo serves as the symbolic centerpiece of Passover. During Passover we tell the story of the Jews’ exodus from Egypt after escaping the cruel slavery of the ruling Pharaoh. Why do people eat matzo on Passover? In their haste to leave, the Jews didn’t have time to let their bread rise and Jewish unleavened bread or matzo was born. Sometimes called the bread of affliction, matzo symbolizes the suffering of the slaves and their subsequent rush to freedom. What are the different types of matzo? The basic matzo is flour and water and a touch of salt. 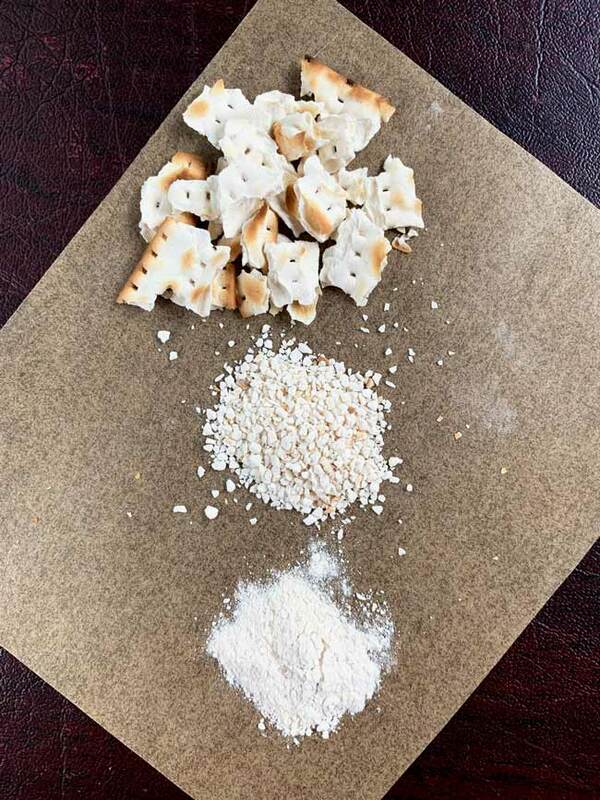 Around Passover, you will usually see egg matzos – which have more color and are a bit less crunchy and dry than regular matzo. Often, unsalted matzo, whole wheat matzo, gluten-free matzo and even onion-flavored matzo is available around the Pesach (Passover) season. But for your Seder table, be sure to stock up on plain kosher for Passover matzo. What are the different forms of matzo used in matzo recipes? 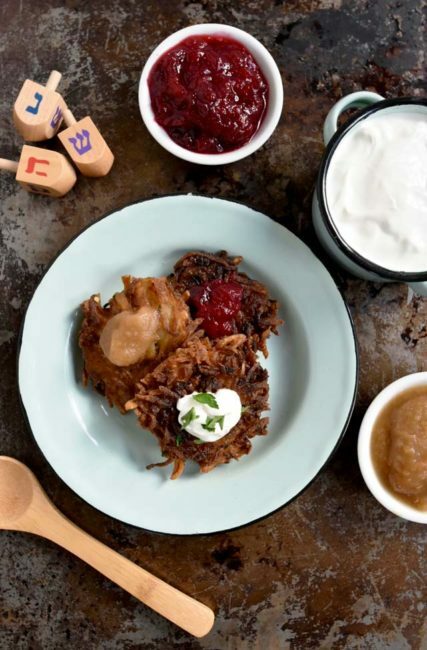 Since traditional flour is forbidden during Passover, if you are following the dietary rules of the holiday, matzo stands in in many forms – matzo farfel, matzo meal, and matzo cake meal. Matzo farfel is just a board of matzo broken up into little pieces and is ideal for making kugels. If you put the broken pieces in a food processor and grind it up finer, then you have matzo meal. Yes, you can buy it in a box or can at the store or online. Essentially the consistency of fine bread crumbs, matzo meal is used in matzo balls, potato pancakes, sponge cakes, and as a breading, just to name a few possibilities. 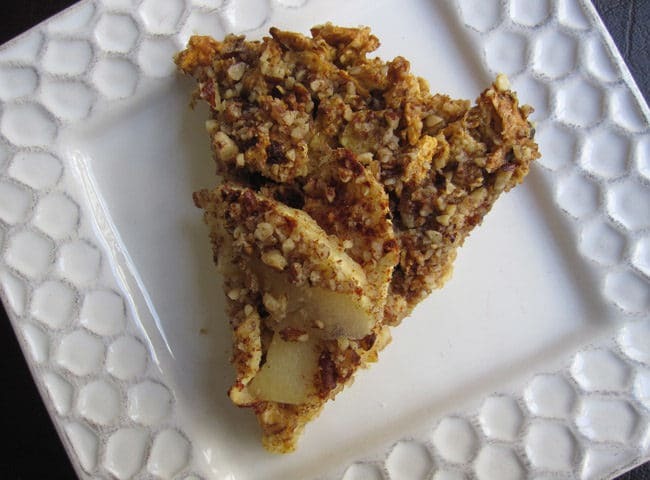 Matzo cake meal is even more finely ground and is often used as a substitute for flour in baked goods. Where can you buy matzo? 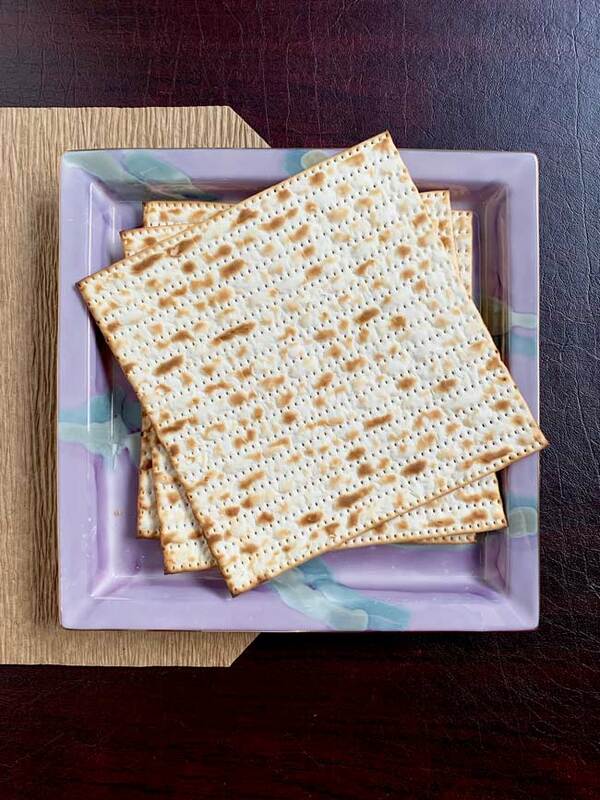 While you can find matzo in most grocery stores year-round, matzo for Passover has been blessed by a rabbi and is therefore officially kosher for Passover. 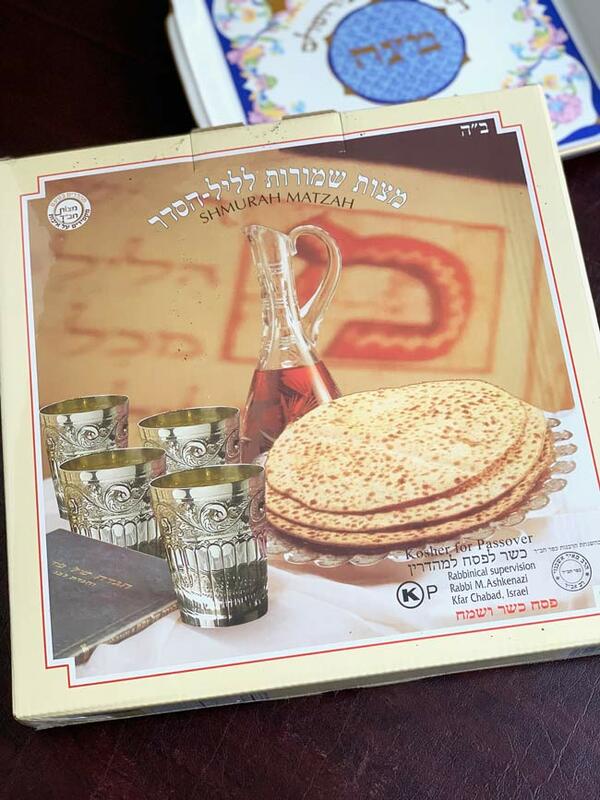 Be sure to read the box before you buy it if “official kosher for Passover matzo” is important to you. Most grocery stores will carry an extra stock of Pesach foods including matzo as the Passover season approaches. One of the most popular dishes during Passover is matzo ball soup. 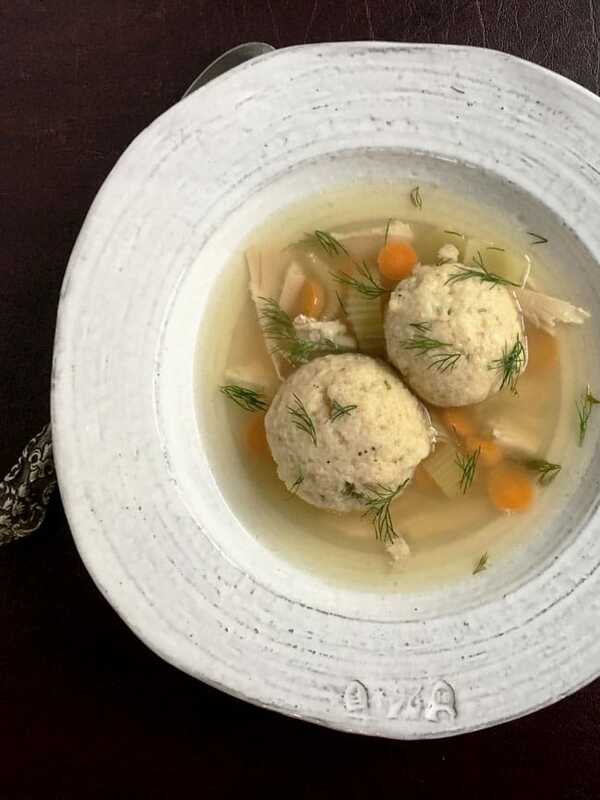 One contentious issue that garners great debate all over the Internet and at many Passover Seders is whether you prefer your matzo ball recipe to produce floaters or sinkers. We prefer floaters — lighter but still with a bite. We make ours with matzo meal, eggs, some kind of fat (schmaltz or oil), and a little seltzer, parsley for color, and salt and pepper. What is matzo brei and how do you make it? Matzo brei is usually a breakfast food or snack food made from broken pieces of matzo, usually bigger than farfel size. 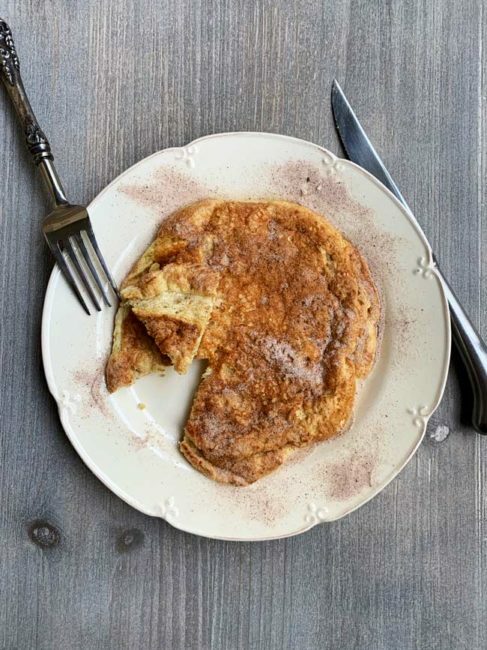 First soaked in water or possibly milk, the matzo is then scrambled with eggs and finished with cinnamon sugar. Or if savory is your thing, sautéed onions are added to the mix. Beyond the standard kosher for Passover matzo available during the holiday season, schmura matzo is guarded from field to factory to be sure no water comes in contact with the wheat. Water could begin the fermenting process which creates “hametz” or the leavened part of wheat bread. Schmura matzo is often round and considerably more expensive than standard square matzo boards. Check out this informational video showing exactly how this matzo is made! 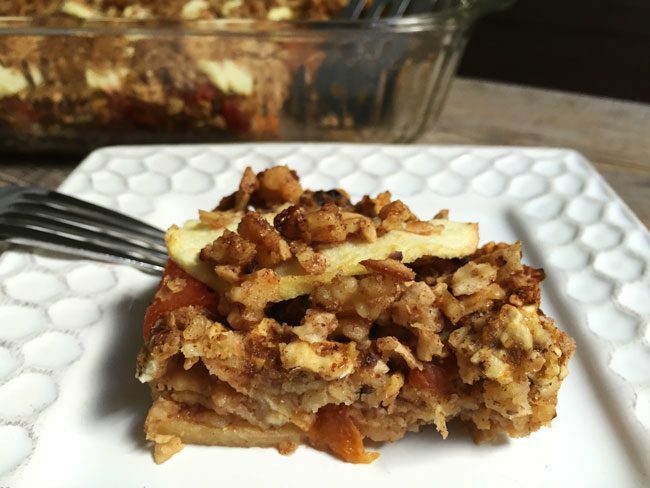 Check back often as I continue to add more recipes that my grandma would have loved to eat! This post contains Amazon affiliate links – if you click on one and purchase something, I receive a very tiny percentage of the sale. Your price is never affected. This income helps to offset the cost of maintaining OMG! Yummy. Also check out my Amazon shop that includes some of my favorite food and food-related products. I am always updating it – please visit often. And let me know if you need specific product recommendations – I am happy to help! Such an informative post, Beth! 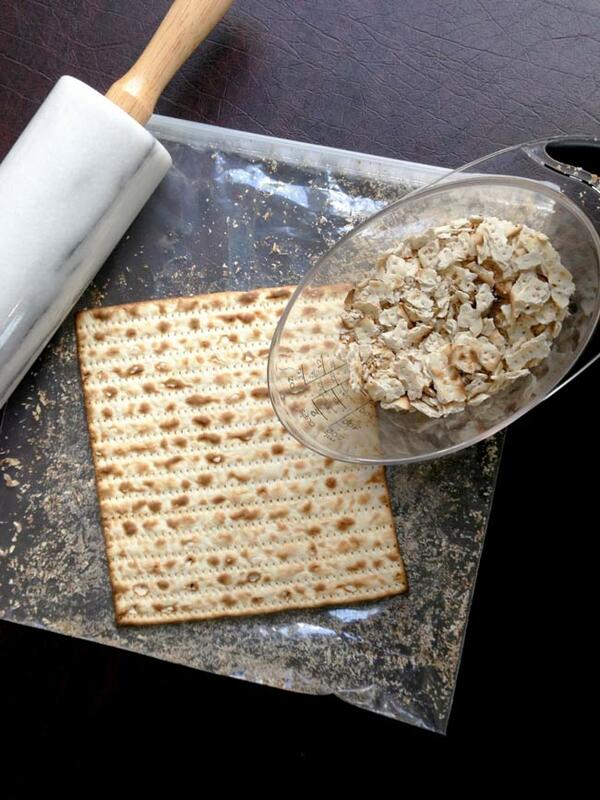 I don’t have a lot of experience with matzo, but I love the many ways it can be used at Passover (or whenever)! I learned so much about matzo – thank you for explaining everything so well. Can’t wait to try your matzo meal pancakes! This is the perfect roundup for anyone who is celebrating Passover. 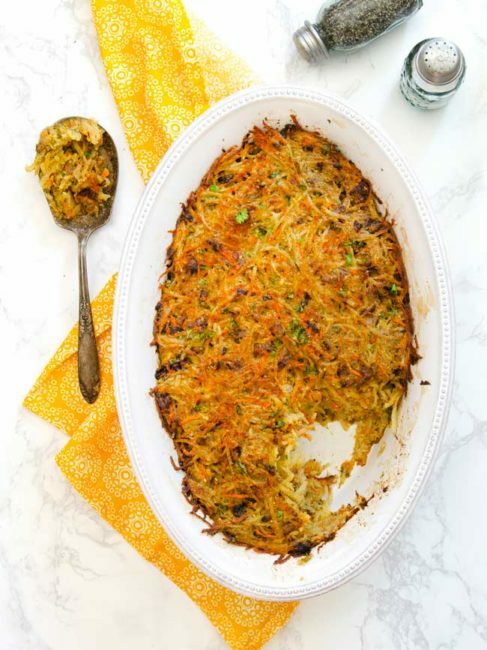 The Matzo Kugel looks amazing! Thank Sandi! I aim to please and educate and destress.